What They Say.....From the bestselling author of Pay It Forward comes the stunning and emotional story of a young soldier’s unthinkable act . . . and the bonds of a sister and brother’s love. What I Say.....I love Catherine Ryan Hyde, and usually her books are an easy win for me. But this one dragged on a little. I think mostly because I'm sick of hearing about Bowe Bergdahl - first the Serial podcast, then this book. I wasn't that interested in the first place, to be honest. So this issue may have been mine - especially since I see it has a high 4 rating on Goodreads, but I just had a hard time getting into it. 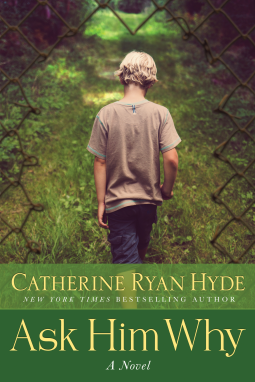 The main theme was the entire family didn't know how to communicate and kept their feelings to themselves, but this also made the narration of the story very flat, and didn't pull me in emotionally like most of Hyde's books. So this is the first official unfinished book of 2016. And it's killing me, with my compulsive need for closure.